This report to the APSA Council discusses how Political Science as a corporate entity engages in two principal tasks – the creation of knowledge and the dissemination of knowledge. Creation of knowledge is, at base, a product of the actions of individual scholars and small scholarly groups. And many of the ways in which political scientists currently communicate – through their teaching, publication in journals, and conference presentations – were developed in less competitive communicative eras. To remain relevant, we must adapt. But how? 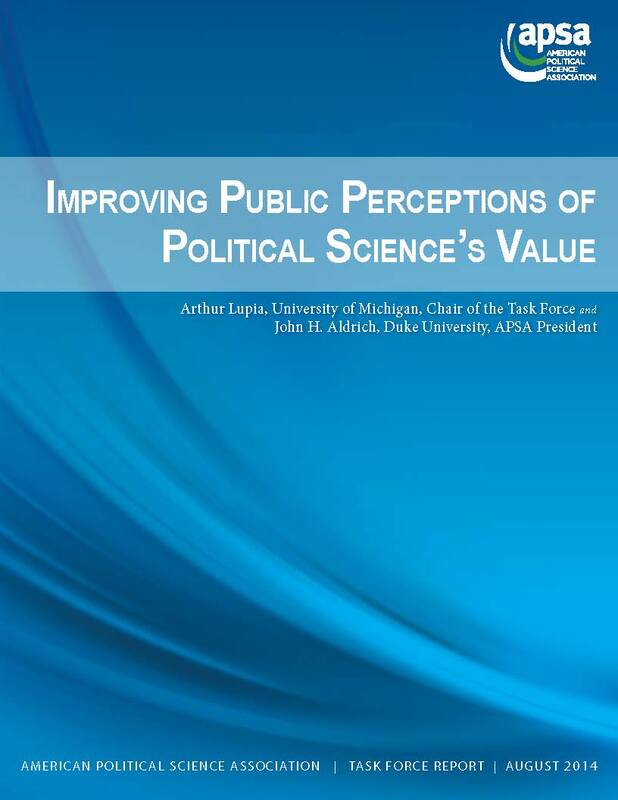 This report, commissioned by the American Political Science Association, identifies means by which individual scholars and professional organizations can make political science’s insights and discoveries more accessible, more relevant, and more valuable to more people. Our main finding is that there are many ways in which APSA, and similarly situated professional organizations, can help political science communicate its insights to a wide range of diverse constituencies using a dynamic collection of communicative strategies and technologies. At a time when prominent individuals publicly question the value of our discipline, it is imperative to move aggressively and effectively. The moment to act is now. Full report Let's Be Heard! Questions or comments? Please contact [email protected].